Sometimes it’s all about introducing new big impactful knitting skills (like the Showy Decrease) and sometimes it’s just a tweak like this Nuance-lette. See where you can use it. 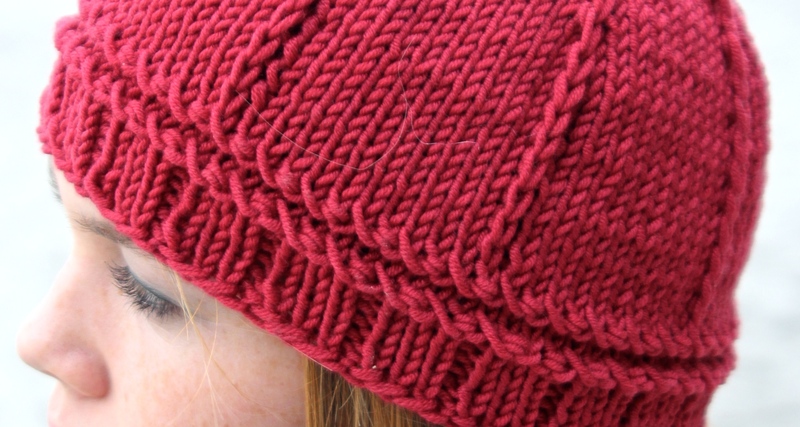 Showy Decreases can add texture diagonally or vertically, as shown in this Rip Cord Hat from our last blog post. One thing they can not do is run horizontally. So what to do if you want to add some perpendicular contrast? The standard solution is to add a Garter Ridge by knitting one row on the WS or by purling a round. It does the job, it’s just not very interesting. So let’s try this instead. The ridge is created by knitting a k2tog decrease on the wrong side when knitting flat or a p2tog when in the round. 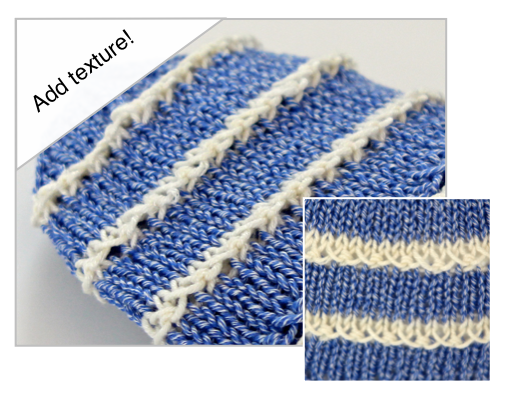 This adds even more texture than a simple knit or purl stitch. Partner it with a yarn over that’s closed on the next row and you’re done. The result looks like X’s and O’s a nice message to add to your knitting. It’s really pretty when worked in two colors like this blue & white hat to the left. The hat hasn’t been announced yet, so see how cleverly I’ve covered up the top and bottom! It’s part of a collection all designed to highlight this one new Nuance that’s coming this spring. I just need the discipline to work on the six projects I have instead of adding new ones. Impulsive knitting is a bit of a problem for me. You can find Free downloads for other Nuances (and Nuance-lettes!) on our website’s Learn page. Cool! I can’t wait to try the new raised ridge. I knit hats for charity and I will definitely try out this technique to incorporate contrasting yarn. Thanks so much. Where are your instructional videos? Tried the password, no luck. Help! 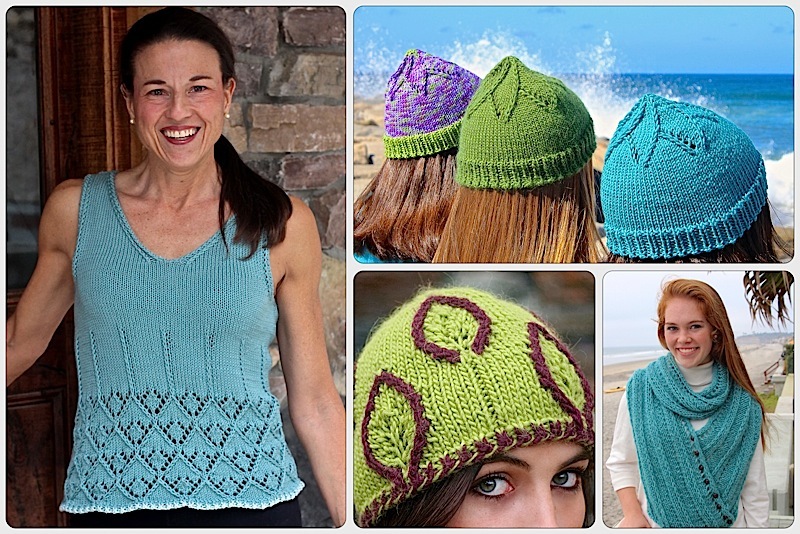 This entry was posted on January 28, 2014 by Laura Cunitz in Hats, Nuances, Other Nuances and tagged Hats, Nuances.